Someone release this on vinyl! Someone release this on vinyl! Stone Temple Pilots intended to tour in support of their 3rd album Tiny Music… Songs From The Vatican Gift Shop in 1996 but plans had to be cancelled because Scott Weiland once again succumbed to his drug addiction. Out of frustration the remaining Pilots started their own band while Weiland was in rehab, Talk Show and released an album in 1997. 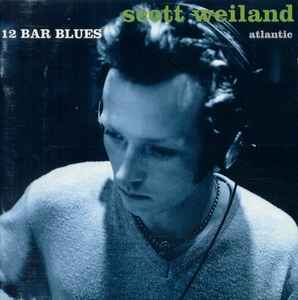 Scott Weiland decided to record his own solo album. 12 Bar Blues was the result, and it is amazing. It sounds nothing like his previous work with Stone Temple Pilots. It sounds like a singer/songwriter album, but with lots of drum loops, catchy hooks, keyboards, there is trip hop and even a waltz on it. The art work of the album is a tribute to John Coltrane’s Blue Train. To me this is the best work Scott Weiland has ever produced, the album is amazing from beginning to end. This album needs a proper vinyl pressing! Fantastic album. I still like 'Happy in Galoshes' a bit more but this is an excellent recording. Great songs and catchy melodies. You will be missed dear Scott.